Their 14th studio album might deal with difficult topics, but it also reflects the spirit, joy and passion the band have put into making this 2019 album! The two-time GRAMMY Award nominated Progressive Metal band have sold over 15 million records worldwide and for this record they have approached things a little differently! For the first time, the bandmates lived, wrote & recorded together at the secluded Yonderbarn studios in Monticello, NY over the course of four months. For the new album the band wanted to return to their roots and produce a more organic record. 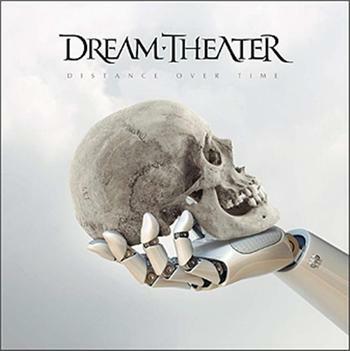 Despite these changes however, DREAM THEATER uphold their unique signature of combining metallic aggression and progressive scope and put it in a frame of tighter song writing. ‘Distance Over Time’ is released on 22nd February 2019.